Craving Rosé the instant the nice weather arrives is like a Pavlov’s dogs experiment. I have been sipping Rosé for almost two decades and it is refreshing to see the interest and supply, and frankly the quality rapidly growing. This post is the first of a three part series (make sure you sign up for automatic blogs on thebourneexplorer.com) with Rosé suggestions and descriptions, food pairing ideas, and entertaining tips featured in June, July, and August 2017. For my first wine, I selected Chêne Bleu. We were recently holidaying in Maine and my husband was under the weather one evening, so I postponed our dinner reservation, lit a fire, and headed to Kennenbunk center to pick up some snacks, Mexican street food and some wine. I spotted Chêne Bleu, and gave it a shot. I was very impressed with the elegant nose and complexed palate. Next up, the Mulderbosch Rosé, I originally found this wine at my neighborhood wine shop about seven years ago. When my sister was deciding on the Rosé she would serve at her outdoor Cape Cod wedding, I suggested Mulderbosch Rosé 2014. After sampling it, we ordered several cases; it was a crowd pleaser amongst our guests and an easy drink on a hot summer day. I am often weary of the quality on bottles priced around $10-12, but I savor its Cab flavor profile as it is juicy without being jammy. Food Pairing: Serve well chilled. An excellent picnic wine. Pairs well with grilled fish (seared tuna steaks and swordfish; veal milanese and sushi. 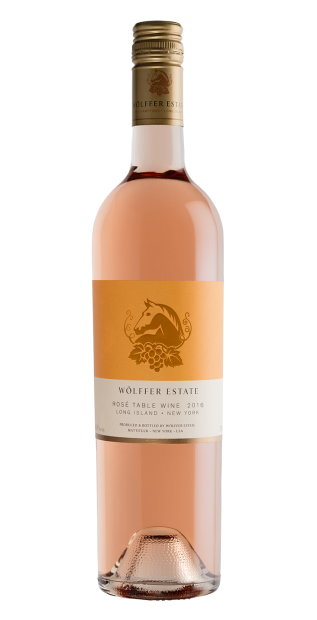 I have fun with their Summer In A Bottle Rosé, but it doesn’t have the complexity and sheer elegance of the Estate Rosé. (I like using the flower printed bottle as a vase for a fresh flower bouquet). Plus, I love the energy of the Wölffer winery. The property is picturesque out in Bridge Hampton, Long island. The owners host summer music nights featuring local bands, which has created a wave of loyal followers. Food Pairings: Serve chilled. Pairs well with smoked salmon, poached lobster, raw shellfish, beef or tuna tartare, and soft cheeses. And grilled meats and fish. Hope you enjoy! I would love to hear about your favorite Rosés.